This kit includes the following: New Varta 3V CR 1/2 AA lithium battery, the necessary rubber o rings and silicone lube. 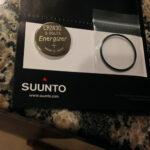 This kit includes what you need to change the batteries in your Suunto dive computer. 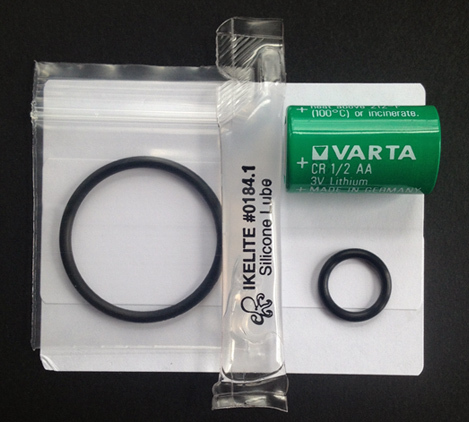 In this kit you get a new replacement compatible lithium cell battery and new o rings for the transmitter and silicone lube for the o rings. Brand new and also guaranteed to meet factory specifications. 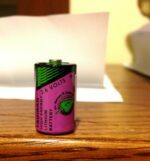 A 10 year or more shelf life for the battery and all materials.